This weekend, the fair modell-hobby-spiel about building models, a variety of crafting hobbies, toys and games takes place in Leipzig, Germany. I went there yesterday, mainly because of a “Zentangle competition” I read about on the fair’s website. This competition, however, turned out to be a huge flop: It was only one beginner’s workshop after another (for 5€) and it wasn’t a very well done one. After just 2 minutes of watching, I noticed several things that were not QUITE right (e.g. they didn’t teach Crescent Moon but a tangleation of Crescent Moon – you definitely should point that out!). No CZT was involved in the teaching (a CZT would have been more accurate). It seemed to me that the method was presented in a pretty “loveless” way, too. I know that there are no mistakes in Zentangle, but… this was not a good workshop. By far not as good as the one with Michele Beauchamp I took two weeks ago. Although I’m not 100% positive about this whole CZT principle, I think this is a shame because I guess a CZT’s introduction is far better than this. They also sold the official material by Sakura of Europe there. I met a woman yesterday who only wanted to buy one of the white gel pens. With the Sakura sets she had to decide if she wanted to buy a set of 4 pens (including 2 of the gel pens she was looking for) for a juicy 14€ – or no pens at all. I find this not only way too expensive but also too inflexible having to buy those kits all the time. Why aren’t the pens sold individually? I’m so glad to have my own sources for the original material and that I’m not dependent on Sakura’s kits. Another disappointment was that there weren’t that many REAL Zentangle books on display, too. 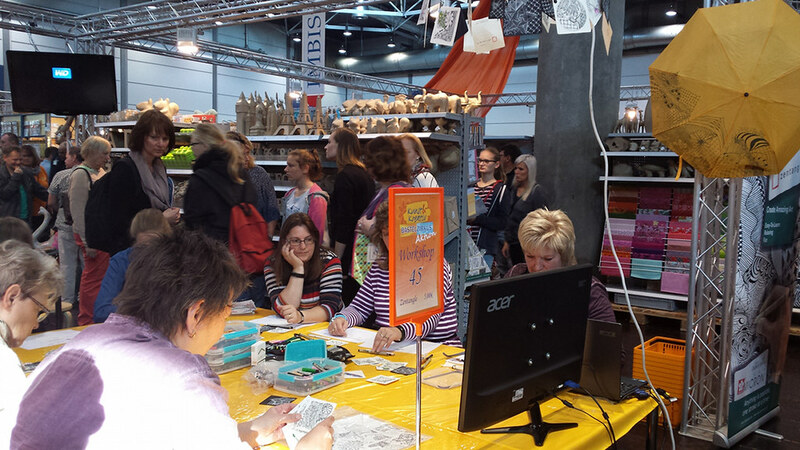 They only had a very small selection of German Zentangle books – the best one being aone lonely German copy of One Zentangle a Day – and a HUGE variety of these so-called “Zencolor”-books. I really dislike those books because they simply have nothing to do with Zentangle at all but are borrowing the reference to it by using “Zen-” in the name now that Zentangle is getting more popular in Germany. They are just colouring books and that is what they should be called in my opinion..
All in all, I don’t think I’d have come to the fair if I had known all this in advance. But it still was a nice day because of the boardgame part of the fair. I meet new and interesting people there and also bought two new card games.